＋L offer you the building instructions that can achieve a new assembly model from bricks in your house. You can build a qute pitty out of Monkey Set, or a Trans-form robot out of Dump truck set. 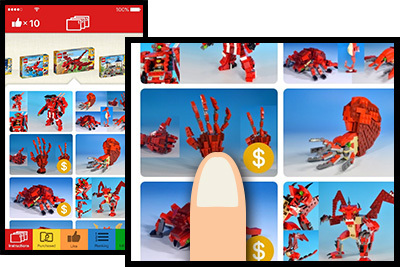 The instructions are big pictures in step-by-step to make you build easily. The instruction pages show you needed parts on each. 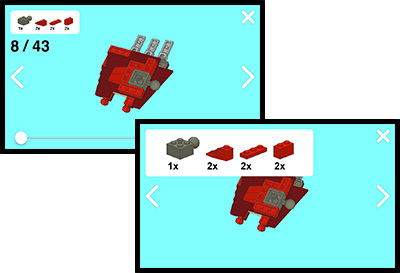 you can click parts list to enlarge or reduce those images. You can also specified size of instruction page by an pinch-out or pinch-in operation. 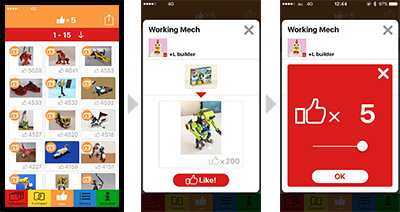 If your model gather many "Like" points, PlusL will make and sell the instruction based on your model as an official PlusL product (building instruction). A contract will be made to pay you 5% of total net sales of the product(building instruction) based on your model. +L is also waiting for your original alternate models and ideas on the contest. 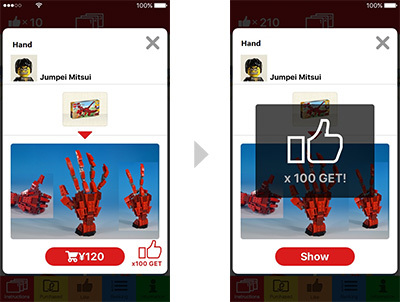 Select the bricks sets you have. Select the model you want to build by clicking the picture below. And you can get "Like" points! touch a parts list and pinch-out or pinch-in operation. In Like list you can find interesting models and vote Like point. The model gathered mane Like points will be +L’s official instruction. If you build your original alternative model, please entry your model and send the photos of your model. as an official PlusL product (building instruction). 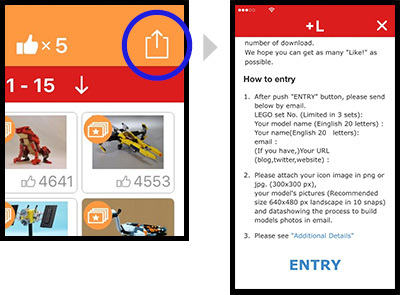 You may be a +L’s builder! Please contact us and tell us those. We’ll be happy to hear your questions and comments about this app.